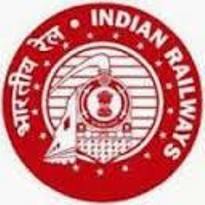 Rail Coach Factory published advertisement for recruitment of various vacancies of sports. For more details regarding education qualification, pay scale, how to apply, selection process, no of posts, last date for submission application and other details are available at given below link. Educational Qualification: 12 TH Pass, ITI. Minimum Sports norms for Recruitment: Represented the Country in any of the following Championships/events: World Cup (Junior/Senior category). (World Championships (Junior/Senior Category). Asian Games (Senior Category). Commonwealth Games (Senior Category). OR At least 3rd Position in any of the follow log Championships/events:- Commonwealth Championships (Junior/Senior Category). Asian Championships/Asia Cup (Junior/ Senior Category). South Asian Federations (SAF) Games (Senior Category). USIC (World Railways) Championships (Senior Category). OR At least 3rd Position in Senior/Youth/Junior National Championships. OR At least 3rd Position in National Games Organized under aegis of Indian Olympic Association. OR At least 3rd Position In All India Inter University Championship organized under the aegis of Association of Indian Universities. OR 1st Position in Federation Cup Championships (Senior Category). NOTE:-In Hockey, at least 2nd position in the International Tournaments of four or more nations, may also be considered. Application Fee: For all candidates Rs, 500/- & Rs. 250/- For SC/ST.